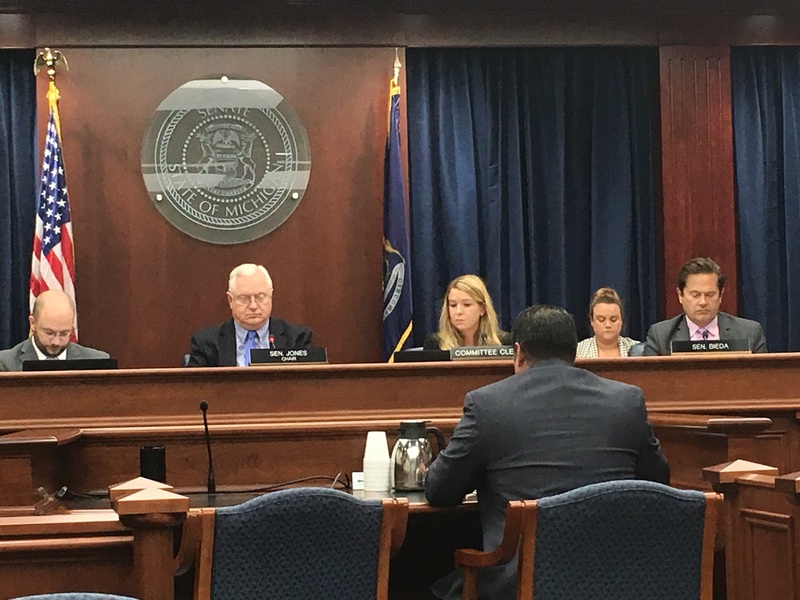 HB 5377, also known as objective parole, is one step closer to becoming law after being approved by the Michigan Senate Judiciary Committee on Sept. 5, 2018. The bill would reunite families, reduce Michigan’s budget by $40 million over five years and shrink Michigan’s prison population by as many as 2,400 people. The bill passed by a vote of 3 to 0 with one Senator not voting. Senators Rick Jones, Judy Emmons, and Steven Bieda supported the bill. House Bill 5377 now moves to the floor of the Senate, where it awaits a vote of the full Senate. Safe & Just Michigan has been a strong proponent of this bill since its introduction in January and submitted written testimony in support of the bill at the hearing.